Our generation of kids is growing up in a tech-filled world. Language learning apps are a popular way for kids to learn a foreign language. If you are raising a bilingual child and looking for a little more exposure to a language or you are interested in exploring other languages of the world, a language app is a great way to do that. 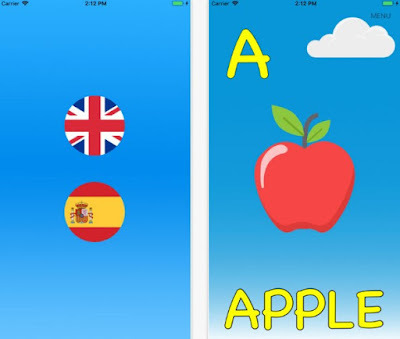 To help you and your kid we found one great language app for learning languages on young age. Let’s see what the app is all about. What is Babylingos all about? Developed for IOS users, this foreign language app is offering young children to learn a foreign language on very young age. Especially created for kids of 6 months and up, this app is allowing the tots to learn a new language by the age of 3. The app provides suitable tools for young kids that will help them learn easier and faster while keeping their attention and allowing them to retain the language for life. Using the app, kids will absorb the language faster and get the rare opportunity to learn a foreign language on the best age for learning. Using Babylingos as the educational app for young kids, the brain of the kid will be stimulated on the right way to learn and retain the language for the rest of his life. On the app are offered suitable tools that are highly efficient and will help the kid to learn the foreign language with guaranteed results, retaining the language easily. Many colorful images with different words that the kid needs to learn are offered on the app, keeping the attention of the kid constantly through the whole learning process. The brain of the kid on young age is working twice as faster than the adult brain and that will help the kid to learn faster. With hands-on controls and high stimulation of the kid’s brain, this educational app is allowing the kid to learn easier and faster using the app’s educational process. The app is safe and user-friendly, allowing young kids to learn and develop their brain. Download this app on App Store now for only 2.99$.